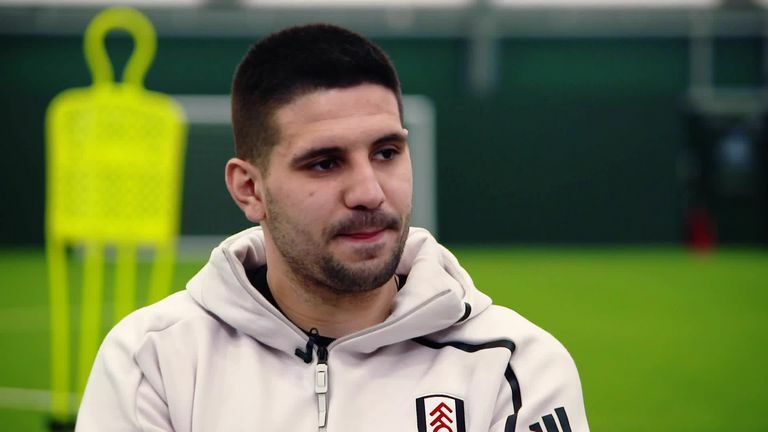 Aleksandar Mitrovic wants to help create a miracle by keeping Fulham in the Premier League this season, starting with Saturday's clash against Manchester United at Craven Cottage. The forward will be the first name on Fulham manager Claudio Ranieri's team sheet when in-form United visit west London in a match you can see live on Sky Sports Premier League. Without Mitrovic's 10 Premier League goals, 19th-placed Fulham would be in even more trouble than their current predicament which sees Ranieri's side seven points from safety with just 13 games left to play. Despite currently enjoying his best-ever season in front of goal in the top flight, Fulham's leading scorer is not thinking about individual milestones, only what is good for the team. That means beating the odds and staying up this campaign. "Of course, I would be happy if I score 20 goals. But I would be even more happy if I stay on 10 goals and we stay in the Premier League." Mitrovic's 10 goals and two assists - including a vital second-half double to help overturn a two-goal deficit and beat Brighton recently - in a struggling team's cause has led to reported interest in the Serb. The 24-year-old, though, has brushed aside those stories as he prepares to lead the line against United on Saturday lunchtime. "Of course, if you play good, you will always have big teams who are interested in you and we will see," he said. "But the biggest thing that could happen to me is we stay up and then we will see what happens after.